Container Store Design. 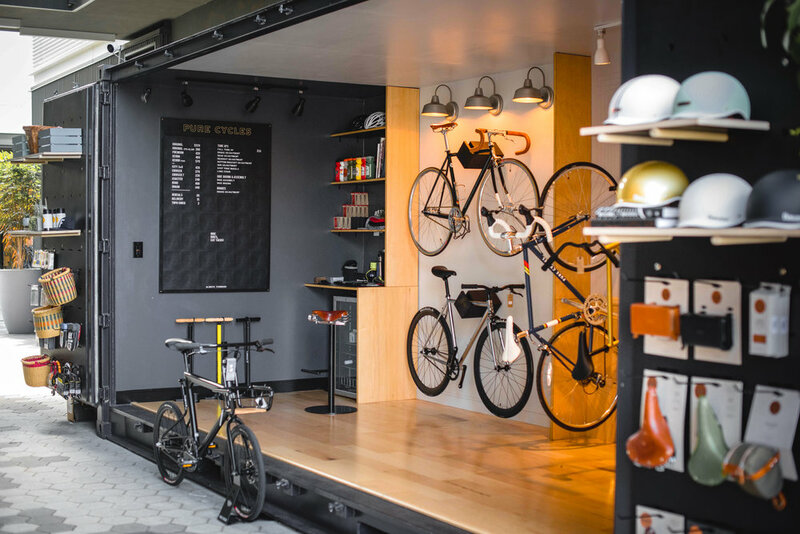 Pure Cycles converted an empty storage container into a custom pop-up shop. I was fortunate enough to be given creative freedom over a really great project: Converting a shipping container into a custom pop-up shop. Starting with an empty container, we began to define the space based on our needs. We had a decent amount of bikes to present, an ever changing amount of accessories to display, and yet still find a way to add some unique branding. I started by building a scale model in Sketchup. 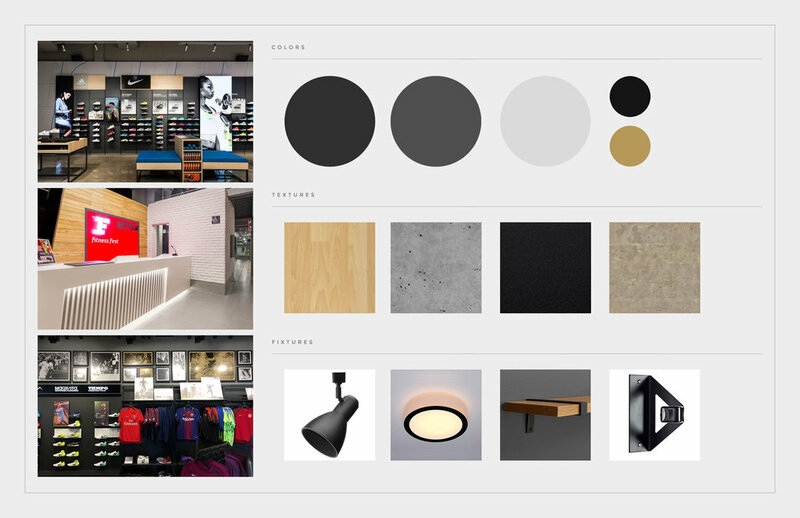 Here I determined the placement of the shelves, lighting, bikes, bike hangers, and custom signage. John of Transport Specialties Inc. did the initial lifting by installing the electrical, the lighting, and the walls. He painted the space to our color specs. We then took over, and built out the remaining space in-house. We worked with our good friend Brett's Wood to fabricate the custom shelving inside the space, as well as the dowel shelving on the exterior. We CNCed the custom door panels to accommodate various sizes of shelves, as well as slotted wall hangers. We worked with the fine folks over at BKLZR (Brooklyn, NY) to build out our moveable type board.. The wall graphics that I designed where printed and installed by the amazing Blik Wall Art.